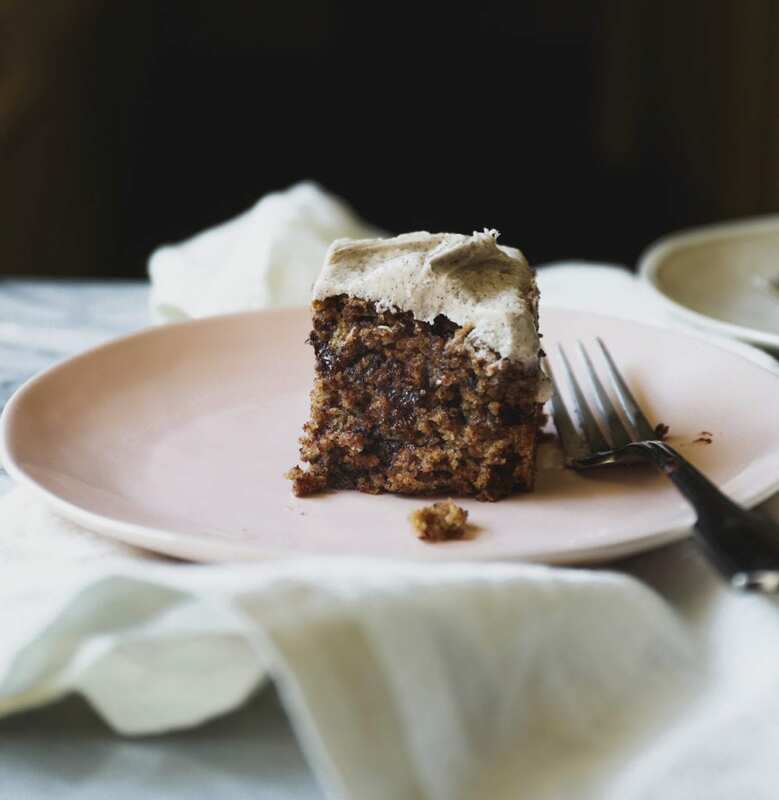 I hope this banana espresso cake finds you rested and well, ready to tackle the weekend. 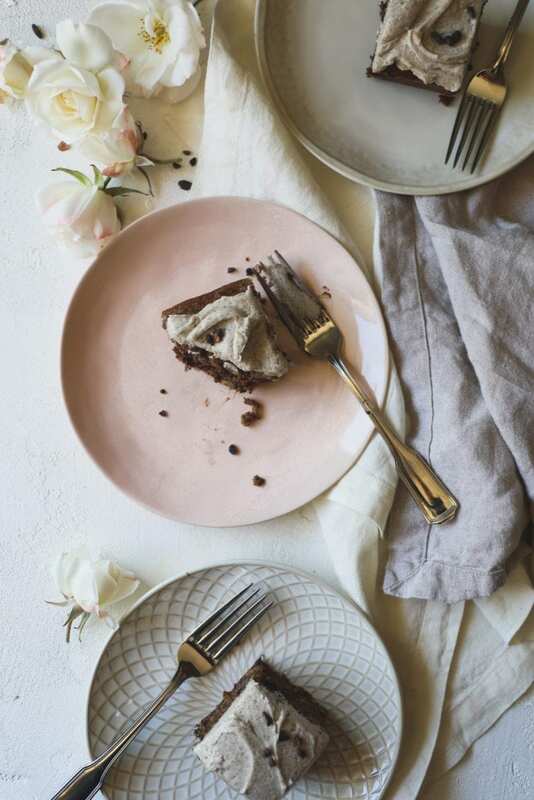 I have been dreaming about this cake for some time…a super moist cake, loaded with heaps of banana, dotted with bits of dark chocolate and teeming with the taste of espresso throughout. We bake this cake low and slow. I’m talking, at 275 F for 90 minutes. This brings out a really wonderful roasted banana flavor. You would think all that time in the oven would make things dry, but nope. Not one bit. 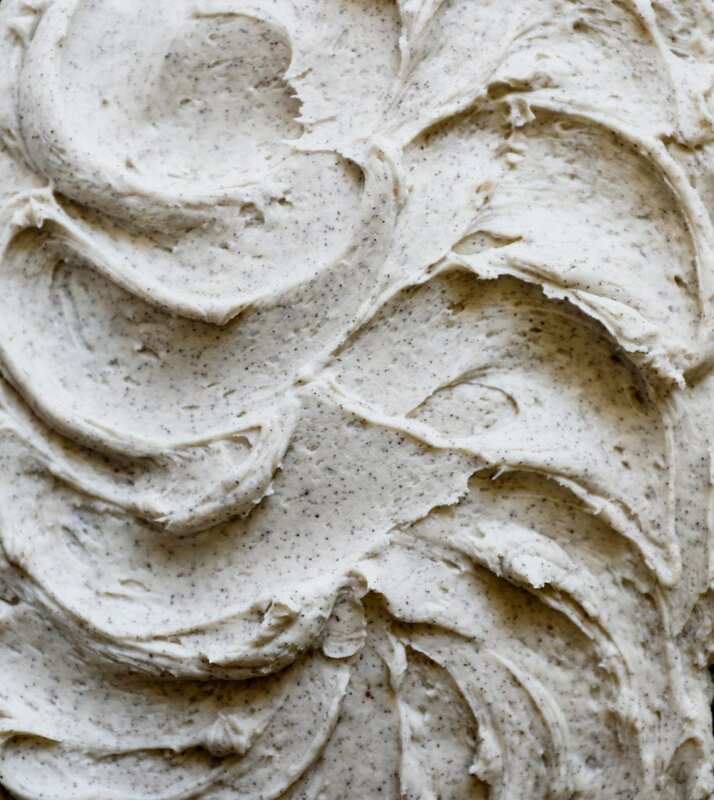 For the top we make the simplest frosting: powdered sugar, butter, finely-ground espresso and a touch of vanilla. To thin, a few sprinkles of milk should loosen things up to the desired consistency. And because I love them, a dusting of cacao nibs to add some bite, both flavor- and texture-wise. I wanted to thank everyone for their feedback on the last post. Hearing all of your thoughts was very helpful and much appreciated. I don’t think anything is set in stone yet regarding the name of the book…but I think we are oh-so-close and I’ll let you know as soon as it’s finalized! Bananas. I don’t like to use bananas that have turned black for baking projects. I think the flavor has gone off a bit. I prefer them to still be yellow and dotted with brown spots and a bit firm and never mushy. They will still mash up fine and bake up beautifully. Temperature. I learned the low and slow banana-baking technique from the Hot Bread Kitchen Book (if memory serves…). Trust it…I know it’s going to make you nervous. But I swear, you’ll love it. 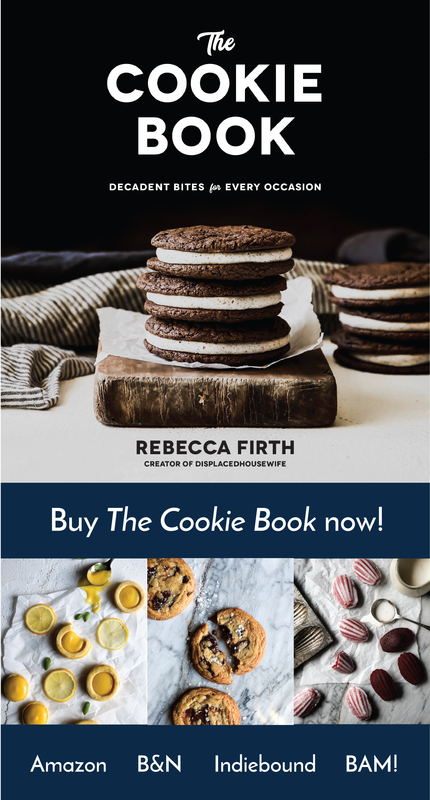 Also, you’ll love that book if you like baking bread. So look it up. Chocolate. I love chocolate + bananas + coffee. It’s a combination that I can’t get enough of. Feel free to omit the chocolate if you’re not feeling it…it won’t hurt the recipe in the slightest. In regards to the chocolate, make sure it’s finely chopped. I preferred not getting a big mouthful of chocolate with this. Weird, I know. Espresso. You can substitute freshly-made strong coffee for the espresso, in a pinch. For the finely-ground espresso that’s in the cake and in the frosting, I popped open a Nespresso pod. Don’t use instant coffee in place of the finely-ground espresso…you want to get that little bit of crunch that it adds. Baking Vessel. Casserole dishes are a varied bunch. The sizes run all over the place and they’re comprised of various materials that effect how fast or slow something will bake. For your reference, I used a ceramic baking dish when testing this (and I do for most of my recipes that call for a casserole pan). If you use a smaller or larger baking dish, you will have to add or reduce baking time accordingly. 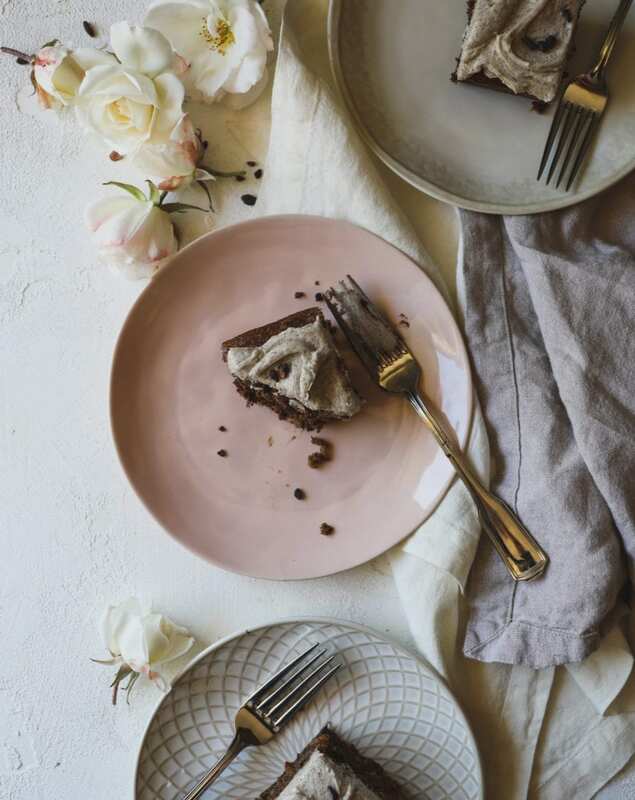 Additionally, if your casserole dish is stainless steel or nonstick, it will conduct heat differently and cause your banana espresso cake to be ready sooner or later. Check in with your cake around the 1 hour mark to see how it’s doing based on the above notes. Cacao Nibs. Totally unnecessary to the recipe, but I like the way they look sprinkled over the top and I loved the crunch that they added to an otherwise soft cake experience. You make the call. 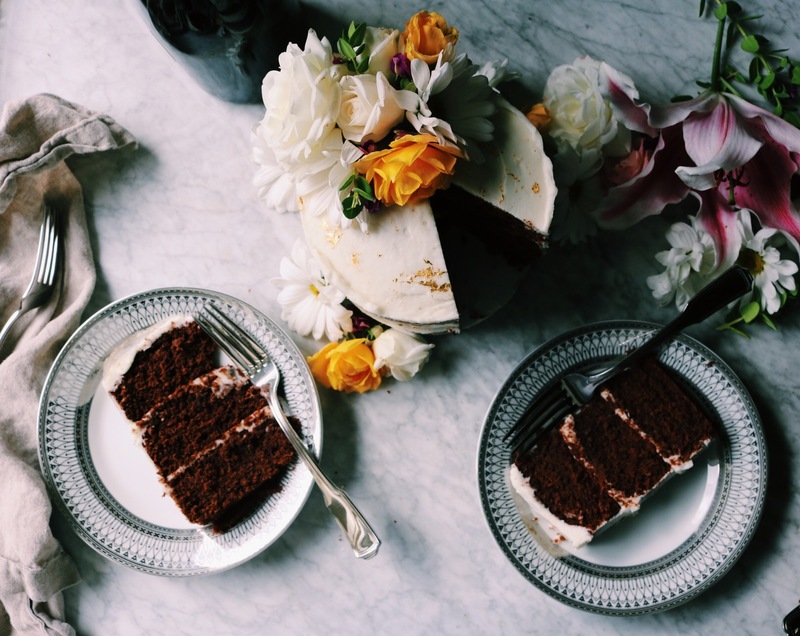 Let’s bake some banana espresso cake, shall we? Preheat your oven to 275 F. Grease an 8 X 11 casserole dish and line with parchment paper allowing about 1 inch to hang over the sides…this will help you take the cake out of the pan later. In an electric stand mixer fitted with the paddle attachment add the butter, granulated sugar and brown sugar and mix on medium high for about 4 minutes or until well blended and fluffy. Add in the eggs, one at a time, taking care that the first is well blended before adding in the second. Scrape down the sides and bottom of the bowl to make sure everything is well blended. Add in the mashed bananas, espresso and vanilla and run the machine for 1 minute more or until everything is thoroughly combined. In a small bowl whisk together the all-purpose flour, cake flour, baking soda, sea salt, cinnamon, and nutmeg. Alternate adding the flour mixture and the buttermilk to the banana mixture in two batches, starting with the flour mixture and ending with the buttermilk. Run the machine on low until almost combined. Add the chocolate and run the machine on low for 1 minute more. Pour the batter into your prepared casserole dish, smoothing the top with the back of a spatula, and bake in the center of the oven for 90 minutes or until a toothpick comes out clean. Some bits of chocolate on the toothpick are fine. Let cool for 40 minutes before removing from the pan and placing on a rack to finish cooling. While the cake cools, make the buttercream by adding the butter and confectioners sugar to an electric stand mixer fitted with the paddle attachment. Run the machine on low until well blended and there are no lumps. You may need to put a towel over the machine so that powdered sugar doesn’t fly everywhere. Add in the milk, vanilla and finely-ground espresso and run the machine for 2 minutes more or until well-blended and creamy, dreamy looking. Add more milk if necessary in small, 1 teaspoon increments to get to the desired consistency. Smear the buttercream over the top, leaving a gutter around the edge so that you can see the cake. Sprinkle with cacao nibs if using and serve. Try to only eat one slice. I dare you. 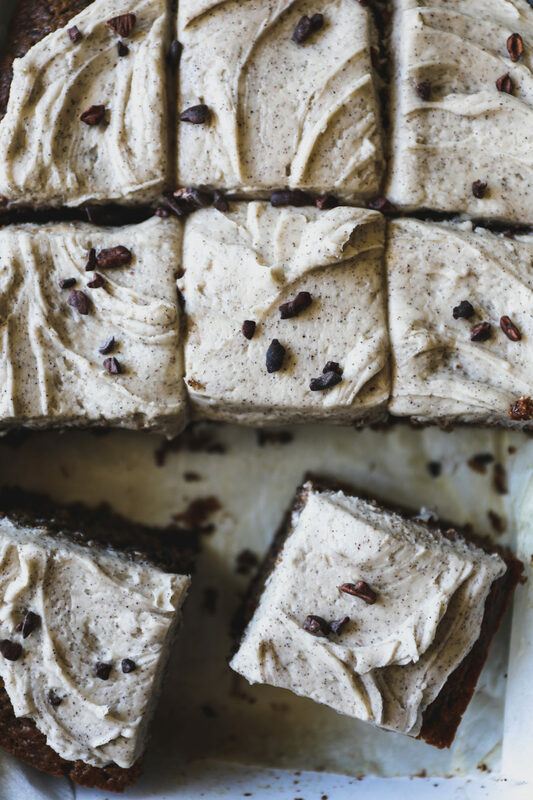 This Banana Espresso Cake is super moist, loaded with heaps of banana, dotted with bits of dark chocolate and teeming with the taste of espresso throughout. Preheat your oven to 275 F. Grease an 8 X 11 casserole dish and line with parchment paper allowing about 1 inch to hang over the sides...this will help you take the cake out of the pan later. While the cake cools, make the buttercream by adding the butter and confectioners sugar to an electric stand mixer fitted with the paddle attachment. Run the machine on low until well blended and there are no lumps. You may need to put a towel over the machine so that powdered sugar doesn't fly everywhere. Add in the milk, vanilla and finely-ground espresso and run the machine for 2 minutes more or until well-blended and creamy, dreamy looking. Add more milk if necessary in small, 1 teaspoon increments to get to the desired consistency. Smear the buttercream over the top, leaving a gutter around the edge so that you can see the cake. Sprinkle with cacao nibs if using and serve. My friend Nate put together a little coffee party! 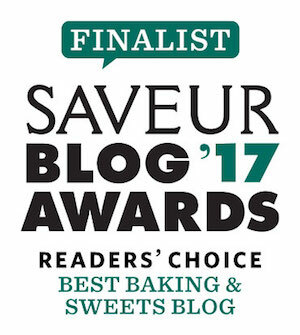 Be sure to check out everyone’s gorgeous, coffee-inspired recipes! Just a couple of random thoughts today… First, those white roses up there are the first in my yard this spring and I’m obsessed with them. They have this really pretty touch of pink on them that I swear has never been there before. I don’t know how that happens. I have the energy of a sloth this week. I had some awesome energy reviving tips on my latest Instagram post …I’m really into the suggestions regarding more sleep, watching Netflix and getting massages, although I suspect the ones recommending more exercise might be spot on. Le sigh. Let me know what you do when you just wanna lay in bed and sleep. I’m quite happy…just…umm…feeling hella lazy. Handmaid’s Tale is about to start again…who else is counting down the seconds? What else are you watching? Are there any other Riverdale junkies? Or am I a 15 year-old girl? OK…time for me to nap. Rest. Drink tea. You know the drill. Heaps of love + light to you!! My favourite ingredients combined perfectly ! Thank you so much ! There are two separate listings with different amounts for the espresso/strong coffee in the cake recipe. Which is correct? Or should it be added to the flour mixture as well? No, it’s listed in two places for the cake and then again for the buttercream. Which one is correct for the cake? Hi Nanda, sorry for the confusion! You add both brewed espresso (that you drink) and finely ground espresso (that you would use to make espresso) to the cake. Does that clarify the recipe? Let me know! Hi, I had the same question about the espresso. So, 2 tablespoons of brewed espresso to the wet ingredients, plus 2 tsp of just ground espresso into the batter. 1 tsp ground for the buttercream. Is this correct? I think I would have a really hard time actually getting that buttercream to the cake! I’d want to eat it straight from the bowl! Sounds delish Rebecca! So dreamy, love that buttercream! Can’t wait to try and also counting down to handmaid’s tale! Wow, these look great, I can’t wait to try the recipe. Keep up the great work!